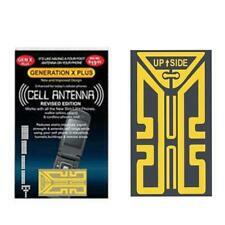 (Our new generation X Plus Revised Edition Cell Phone antenna boosters are better than ever! 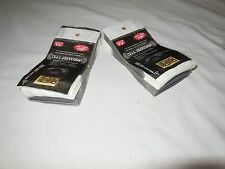 ImprovedGeneration X PlusRevised Edition Cell Phone Antenna Boosters. 1) Huge impact - like having a 4 foot antenna on your cell phone. Don't settle for cheap imitations. Our Antenna Booster is the best one on the market AS SEEN ON TV! Huge impact - like having a four foot antenna on your cell phone. Universal - works on any cell phone. INCREDIBLE Deal! Increase your signal with your phone with this item. 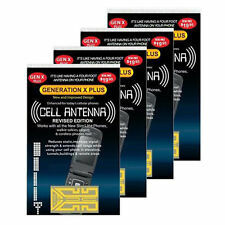 Our new generation X Plus Revised Edition Cell Phone antenna boosters are better than ever! Open cellphone back cover, take out batteries and wipe clean the pasting position of signal sticker. Then slightly tear off signal booster from blister card and paste it well with the "" UP SIDE "" aligning with cellphone antenna. 25 x Antenna Booster.Use this antenna booster to improve your device's signal strength, reducing static and dropped calls. 25 x Antenna Booster. Boost device's signal strength. Quantity: 25. Easy installation. 3 x Antenna Booster.Use this antenna booster to improve your device's signal strength, reducing static and dropped calls. 3 x Antenna Booster. Boost device's signal strength. The manufacturer does not necessarily endorse use of these products. This latest research result cellphone antenna signal booster will prevent you from poor signal when travelling, mountaineering, taking the lift. 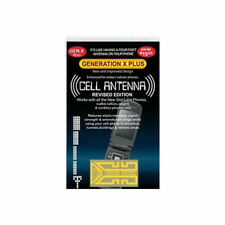 Our new generation X Plus Revised Edition Cell Phone antenna boosters are better than ever! 5 x Antenna Booster.Use this antenna booster to improve your device's signal strength, reducing static and dropped calls. 5 x Antenna Booster. Boost device's signal strength. Easy installation. Quantity: 5. SAMSUNG T401G T404G T340G T528G. NET10 STRAIGHT TALK. The Universal Generation X Cell Phone Antenna Booster Signal Enhancer is a passive device designed to capture stray radiation in the body of the cell phone and to re-radiate the signal to improve the phones reception. NET10 STRAIGHT TALK SAMSUNG PRECEDENT M828c ANDROID. Don't settle for cheap imitations. Our Antenna Booster is the best one on the market AS SEEN ON TV! Huge impact - like having a four foot antenna on your cell phone. 150+ Universal Antenna Signal Booster Smartphone Cell Phone iPhone Samsung etc. This unit was removed from a Samsung SCS-2U01 Verizon Wireless Network Extender. Samsung sprint Airvana AIRRAVE Hi Gain Cell Phone Signal Booster antenna W9024. Shipped with USPS First Class Package. Get the whole lot for the price of just 2. Great deal. ANTENNA SIGNAL BOOSTER for metro PCS ALCATEL LG Motorola Samsung ZTE Cell Phone Co patible with all carriers, all networks, all cell phones. T-Mobile, Sprint, Verizon etc. New in the package Free shipping and Feedback once we receive Feedback. Look at the pictures for the exact item you will receive. From a non-smoking home. We believe in giving back so 10% of every sale we make on eBay goes to charity. All items shipped within 1-5 days depending on when it is purchased. Shipped via USPS First Class. Returns accepted if returned within 30 days if you don't receive the exact item you ordered. 20% Restocking Fee Applies to ALL Returns. The interior box with two prongs will pick up the signal from your Cell Phone and then transmit it to the exterior 13" Antenna where the signal strength is stronger. In this case, size does matter. Our Antenna is 45% Longer than the competitor's. INCREDIBLE Deal! 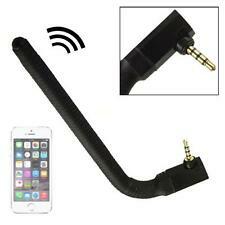 Increase your signal with your phone with this item. Rest assured your information will not be given, sold, rented or loaned to any third party. Don't settle for cheap imitations. Our Antenna Booster is the best one on the market AS SEEN ON TV! Huge impact - like having a four foot antenna on your cell phone. Antenna Boosters. Universal - works on any cell phone. Antenna Booster and Anti-Radiation Shield.Use the antenna booster to improve your device's signal strength, reducing static and dropped calls. The anti-radiation shield can eliminate up to 99% of EMF radiation entering through the ear. 50 x Antenna Booster.Use this antenna booster to improve your device's signal strength, reducing static and dropped calls. 50 x Antenna Booster. Boost device's signal strength. Quantity: 50. Easy installation. 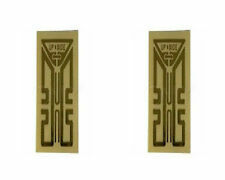 The cell antenna is a passive device designed to capture stray radiation in the body of the phone and to re-radiate the signal to improve the phone’s performance. The antenna will work most effectively when installed properly. NEW 4X Cell Phone Gen X Signal Booster Antenna For Samsung Smartphone Reception! INCREDIBLE Deal! NEW 4X Cell Phone Gen X Signal Booster Antenna For Samsung Smartphone Reception ! Increase your signal with your phone with this item. 100 x Antenna Booster.Use this antenna booster to improve your device's signal strength, reducing static and dropped calls. 100 x Antenna Booster. Boost device's signal strength. Quantity: 100. Easy installation. SAMSUNG T105G T155G T301G T245G. 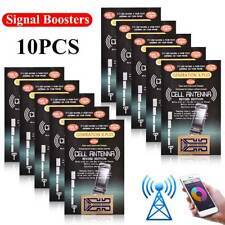 The Universal Generation X Cell Phone Antenna Booster Signal Enhancer is a passive device designed to capture stray radiation in the body of the cell phone and to re-radiate the signal to improve the phones reception. 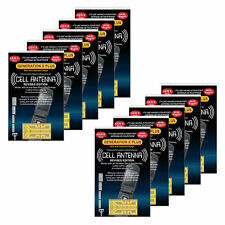 New (As Seen on TV) Universal Cell Phone Smartphone Antenna Signal Boosters For Any Cell or Cordless Phone. 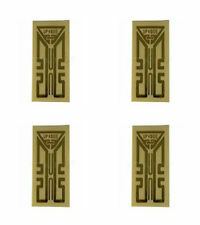 Captures stray radiation within the phone, re-radiates the signal to improve performance. Works on analog, digital and tri-band phones; Fits all cell phones, PCS, cordless phones. 500 x Antenna Booster.Use this antenna booster to improve your device's signal strength, reducing static and dropped calls. 500 x Antenna Booster. Boost device's signal strength. Quantity: 500. Easy installation. High Gain Antenna: 10dbi. Cable length: 2.8m cable. Height Width depth ( mm ): 168 x 82.5 x 48.5. Support all the TS-09 4G Huawei / ZTE devices.